At UFC 237, on May 11 in Rio de Janeiro, Jessica Andrade will have a second opportunity to claim the UFC strawweight strap — this time against reigning champion Rose Namajunas. Heading into this fight, it’s clear that Jessica Andrade will need a strong strategy to unseat the talented champion. Speaking to MMA Fighting, she boldly revealed that strategy. Apparently, she will look to impose pressure, close the distance, and tire Namajunas out. 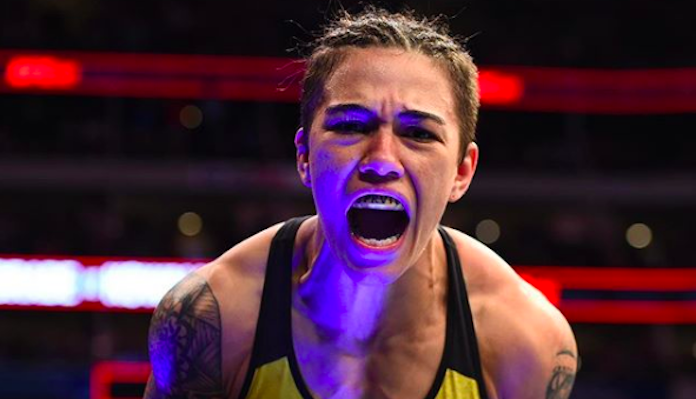 “I’m watching her videos, and the way she’s walking, she’s trying to impose the same style that Joanna does,” Jessica Andrade told MMA Fighting. “But I’ve evolved a lot and won’t let that happen. I will get there well-prepared for the fight, that’s for sure. Do you think this strategy will pay off for Jessica Andrade? Will we be hearing ‘And New’ at UFC 237?